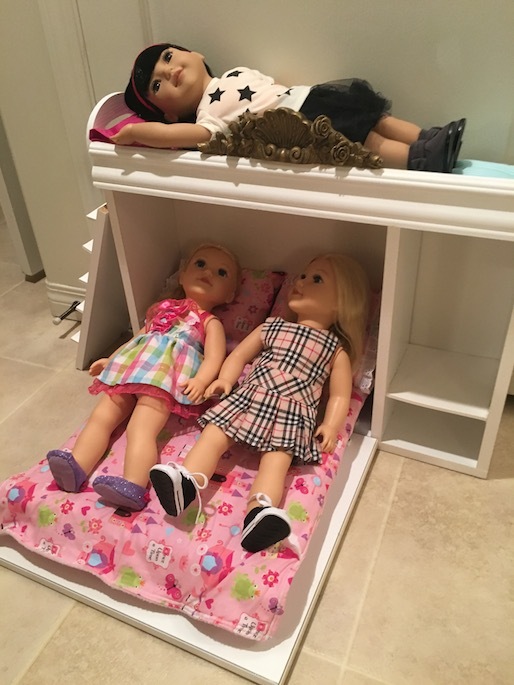 My first thoughts went to doll storage. Hooray! 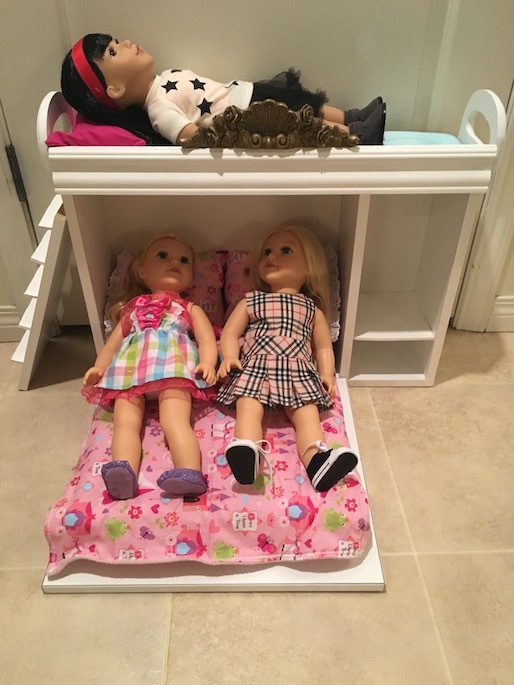 I mean, you can never have enough doll storage right? 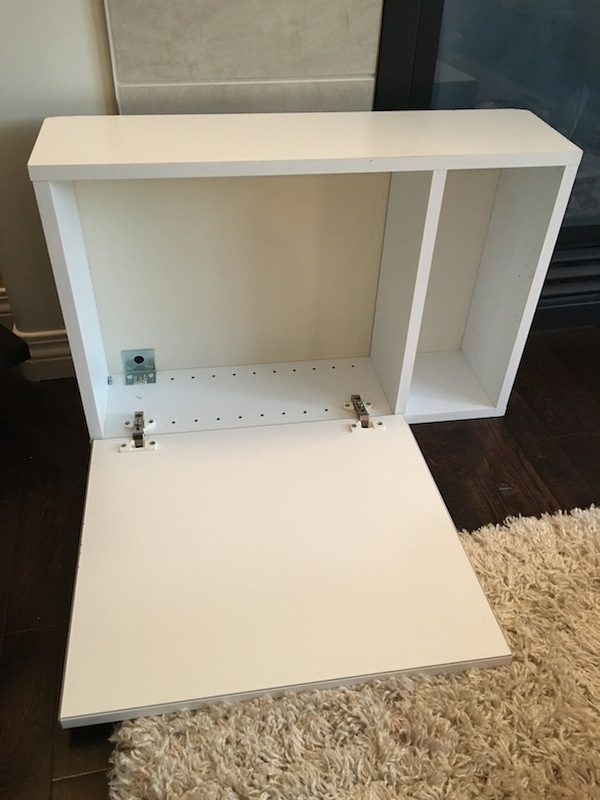 Don’t get me wrong, I could have easily removed the door, but then it just becomes a shelf, and I don’t need another random shelf. So I went back to the drawing board. This took a while, a month or two actually. This is not my image, but I knew right then that I wanted to make something similar. Haha! No more heavy door problems! No more tipping over! 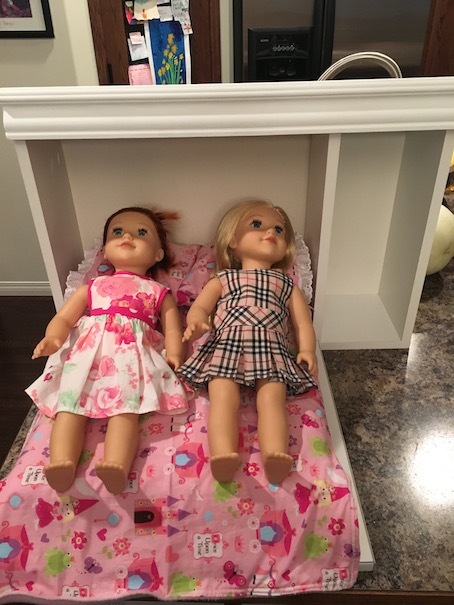 The first thing I did was steal the bed from the old dollhouse to use for the bottom bunk. 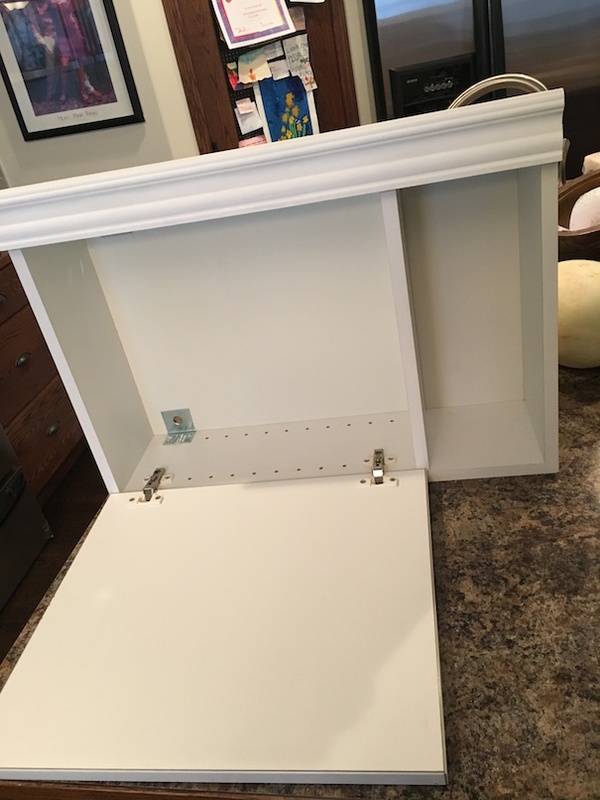 I had a piece of crown moulding that my sister gave me that was leftover from her new house build (bless her), so I cut a piece to size and used some wood glue to secure it along the top. 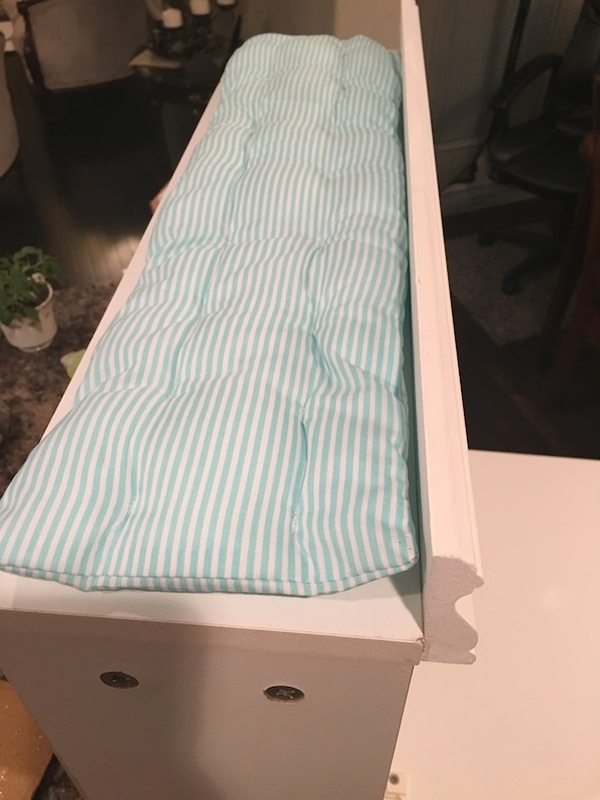 So I made a mattress to go on the top. 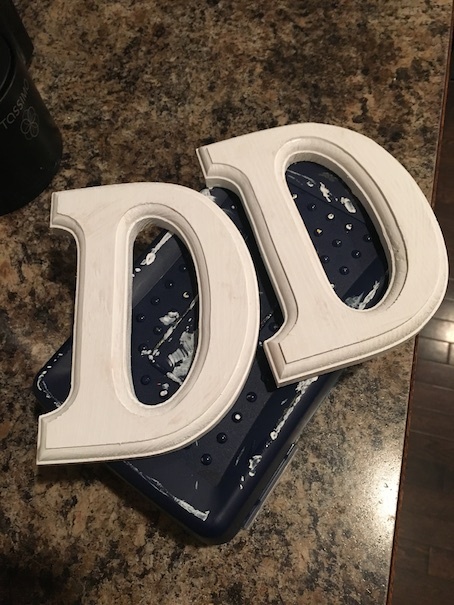 Then I bought two letter D’s from Michaels. And secured one to each end. 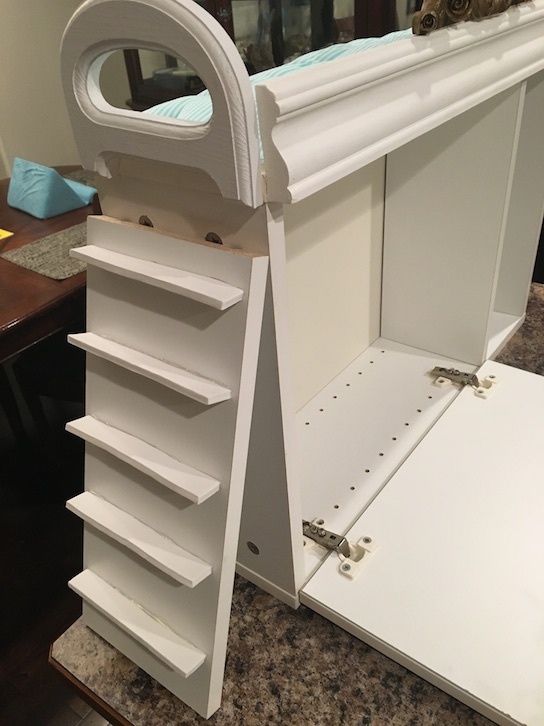 The cabinet came with an extra shelf so using some hot glue and some thick craft foam pieces, I created a ladder. 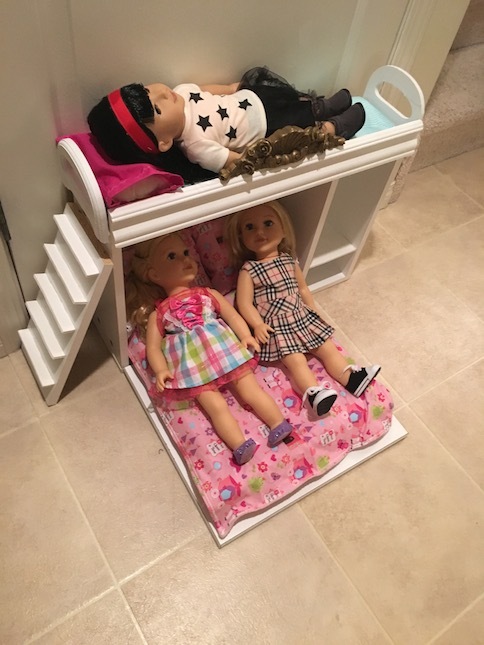 My daughter insisted that the dolls needed a way to get up to the top bunk. I also found a pretty piece of bronze wall decor to glue on as an embellishment on top. I might still paint it white, but I haven’t decided yet. 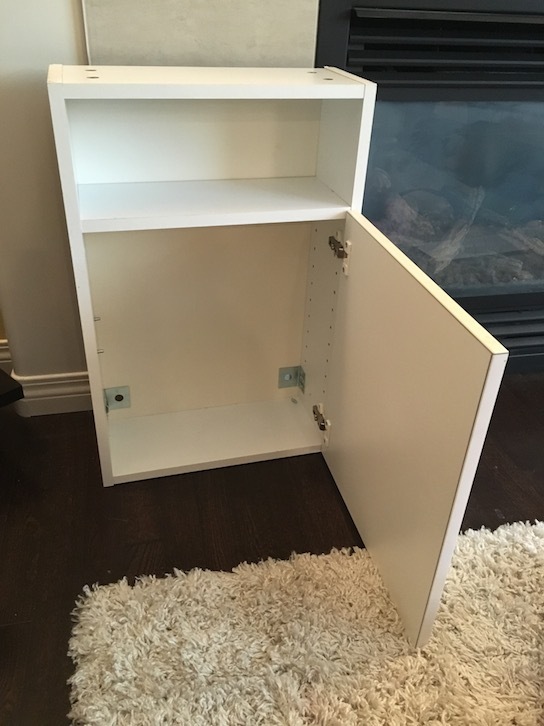 I added a little shelf in the side compartment as well. 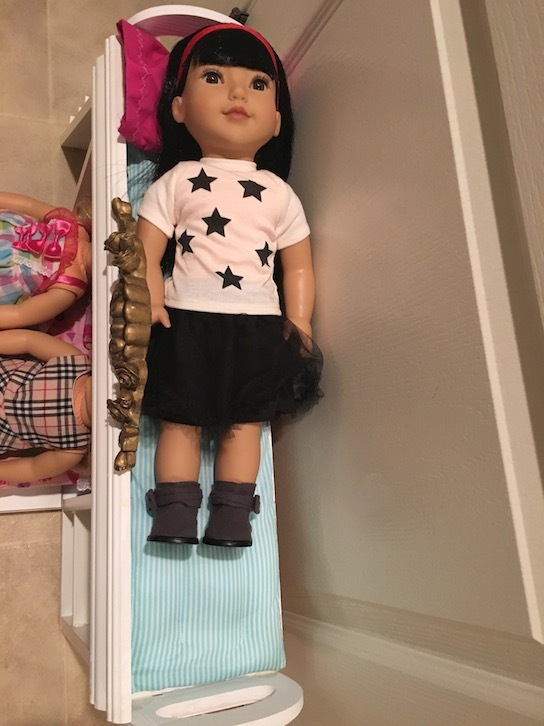 I might still add a wooden dowel in there to hang some clothing on because, well doll storage, but I haven’t fully decided yet. I also haven’t made any blankets for the top bunk yet. 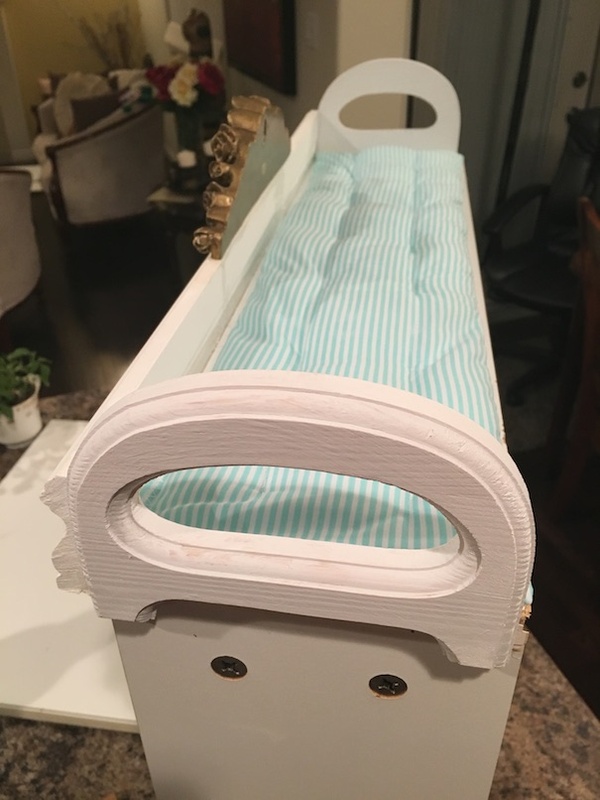 I have to say, I am pretty thrilled with how this little bed has turned out. 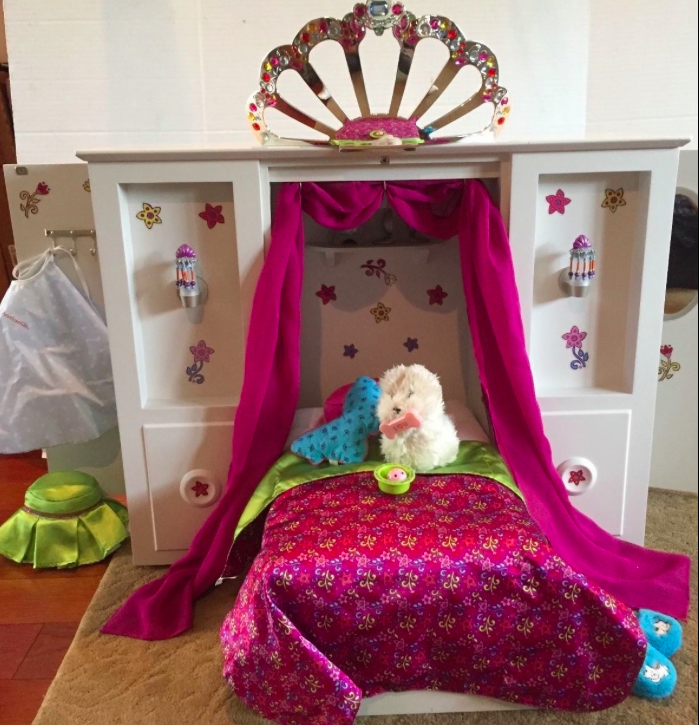 And I am happy that it sleeps three! 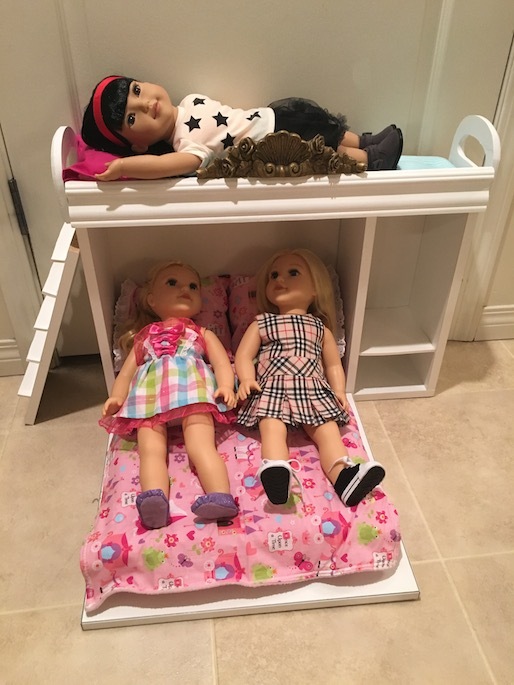 We needed a place for our Newberry dolls to sleep so this is perfect. Oh my stars! That’s EPIC! Thank you! 🙂 I’m glad that you enjoyed it! Very clever idea! Just goes to show that if you stare at something long enough an idea will surface. 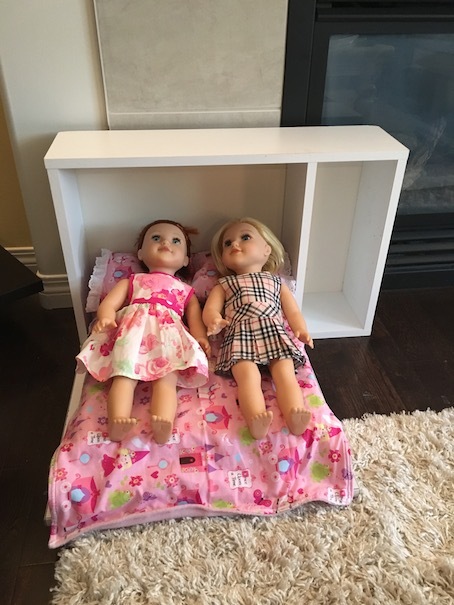 I think I would just add another shelf or two to the side to store cute little things like a lamp, decorative knick-knacks, toys, etc.